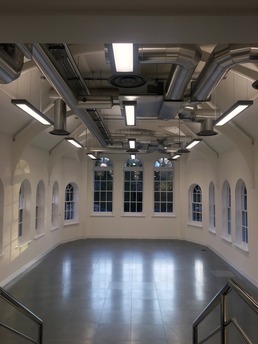 The refurbishment of a former local council headquarters building, originally a school dating from the 19th Century. Atelier Ten were appointed as MEP building services consultants for the full refurbishment of this building complex. 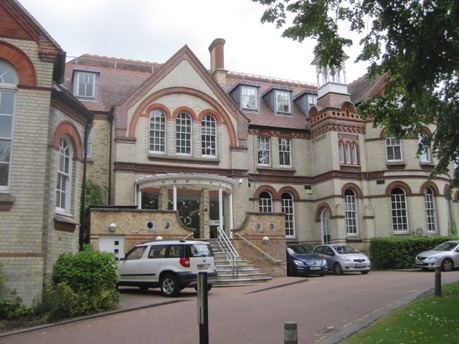 The works were undertaken on a design and build basis to provide a high quality CAT A office facility with multi-storey car parking to the rear. 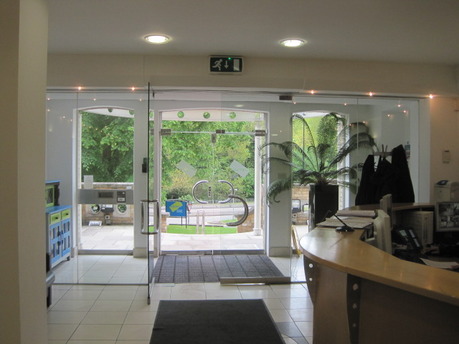 The building is arranged over four floors to accommodate up to seven individual office tenants. The services provision includes VRF type comfort cooling throughout with roof mounted condensers and air handling plant. The car park is fitted with mechanical ventilation, which has generator support for smoke clearance duties. The existing hydraulic lifts were refurbished and a new disabled access platform lift installed. A decorative, low energy lighting installation was provided to the 11th Century ruins that stand within the grounds.